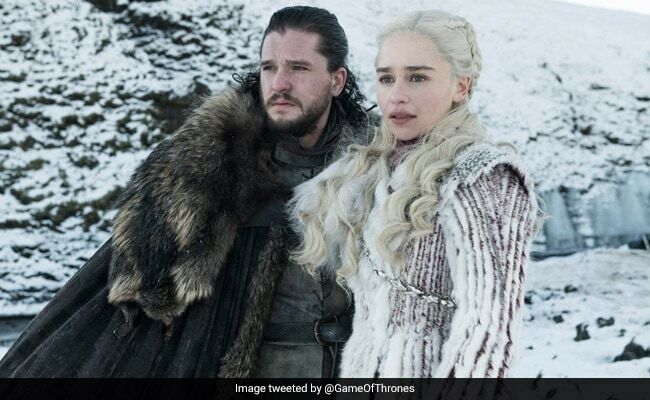 The Election Commission, hoping to spread voter awareness on social media, took to the most famous nod to "Game Of Thrones", "Winter is coming", in its poster on Twitter. The finale of Game of Thrones will air on May 19, the last phase of Lok Sabha polling. Quick to seize on the fevered anticipation for the final season of "Game of Thrones", the Election Commission, the Press Information Bureau and even the Congress are using popular references from the hit HBO series to make themselves heard in poll season. As the war between the seven kingdoms for the Iron Throne in Westeros is set to conclude with the final season of the popular show, known for its portrayal of power dynamics, the poll panel and the PIB are drawing inspiration from it to maximise voter turnout in the ongoing 2019 general elections. The opposition Congress also used the show, described as a cultural phenomenon by many, to take potshots at its political opponent. Such is the craze for the show, based on a series of books by George R R Martin, that Western Railways is also using "GOT" tweets to reach out to travellers. The last part features Drogon, one of Daenerys'' three dragons. The caption describes the elections as a "Festival of Democracy". Emilia Clarke plays the Mother of Dragons Daenerys in the series. The last and eighth season of the show began airing on Monday. The party captioned the poster, "Spoiler Alert: When you play the Game of Thieves, you either lose or you bribe! #BJPGameOfThieves", giving a twist to the show''s popular dialogue spoken by Cersei (essayed by Lena Headey).